Zimbabwe’s former vice-president, Emmerson Mnangagwa, whose dismissal led to the shock resignation of long-time President Robert Mugabe, will be sworn in as the new president on November 24, the state broadcaster announces. Emmerson Mnangagwa, who fled to South Africa two weeks ago, would fly home on November 22, it added. The news of Robert Mugabe’s resignation sparked wild celebrations across the country late into the night. The announcement that Robert Mugabe was stepping down came in the form of a letter read out in parliament on November 21, abruptly halting impeachment proceedings against him. In that letter, the 93-year-old said he was resigning to allow a smooth and peaceful transfer of power, and that his decision was voluntary. A spokesman for the ruling Zanu-PF party said Emmerson Mnangagwa, 71, would serve the remainder of Robert Mugabe’s term until elections which are due to take place by September 2018. The state-run Zimbabwe Broadcasting Corporation (ZBC) confirmed that Emmerson Mnangagwa’s swearing-in ceremony had been scheduled for November 24. 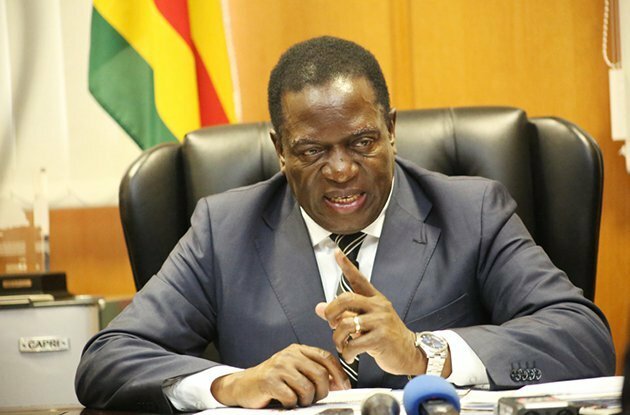 Nicknamed the “crocodile” due to his political cunning, Emmerson Mnangagwa issued a statement from exile calling on Zimbabweans to unite to rebuild the country. His dismissal by Robert Mugabe two weeks ago triggered an unprecedented political crisis in Zimbabwe. The move had been seen by many as an attempt to clear the way for First Lady Grace Mugabe to succeed her husband as leader and riled the military leadership, which stepped in and put the president under house arrest. Under Zimbawe’s constitution, the role of successor would normally go to a serving vice-president, and one still remains in post – Phelekezela Mphoko. However, Phelekezela Mphoko – a key ally of Grace Mugabe – has just been fired by Zanu-PF and is not believed to be in the country. In his absence, the Zanu-PF has nominated Emmerson Mnangagwa, the speaker of parliament confirmed.